Jackie Vension is a young blues guitarist from Austin, Texas. She started with the classical piano and studied at Berklee College, but then decided to learn to play the electric guitar. In a short time she has developed her own style. Jackie Vension can perform solo using loopers, but she mostly plays with a trio with drums and bass. In 2014 Jackie Vension won Modern Southern Showcase (Belk Departement Store) and got the chance to play concerts which really started her career. She made a trip to Berlin and was invided to play with a trio for a big Blues Festival in Poland. 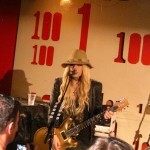 Now she has a busy schedule playing in the USA, but also in other countries. I have recently discovered Jackie Venson’s videos at youtube and I could not stop listening to Jackie Venson. Enjoy Jackie Venson! 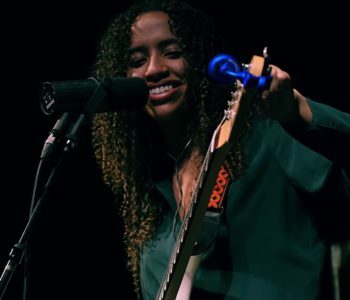 Jackie Venson may be young, but she’s already got years of music experience behind her. The up-and-coming multi-instrumentalist started her musical career as a classically trained pianist, then moved onto guitar and songwriting. Venson’s soulful, bluesy sensibilities recently received some well-deserved attention. She won the Belk Southern Musician Showcase and earned a spot on the Belk Summer Tour. 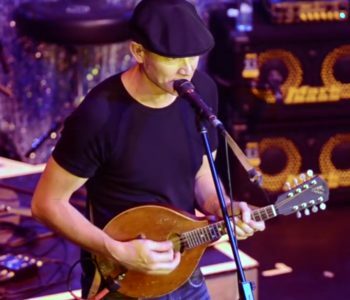 Jimi Hocking is an Australian blues guitar player and singer who has discovered the mandolin some years ago. 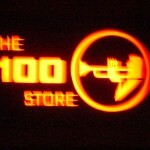 There are some great videos from a performance in Memphis. Jimi Hocking performing at the GH Hotel as part of the Andrea Marr Band’s fundraiser for their trip to the International Blues Challenge in Memphis. 2007 saw Jimi release ‘Blue Mandolin’, his first album of mandolin-based tunes. Jimi’s unique stlye of ‘blues mando’ made an instant impact on the local scene, with Jimi performing mandolin tunes in a number of guises: solo, trio, ensemble, even as a part of his electric blues shows! 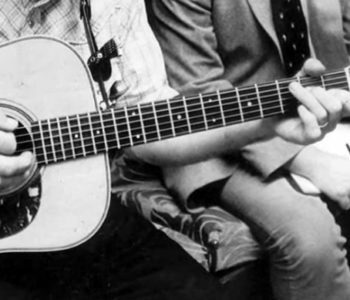 See the Video page for a clip of ‘Skinny White Boy’, a song considered by many to be Jimi’s signature tune, and visit YouTube for heaps of live bootleg videos by fans. 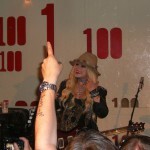 On Wednesday we attended a concert with Orianthi in the 100 Club, Oxford Street. We had to wait for a long time in the typical English queue until we were let in, and event then we had to wait more until Orianthi came to the stage. 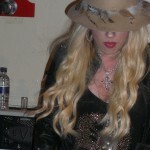 Orianthi is a young guitarist with Greek / Australian roots. 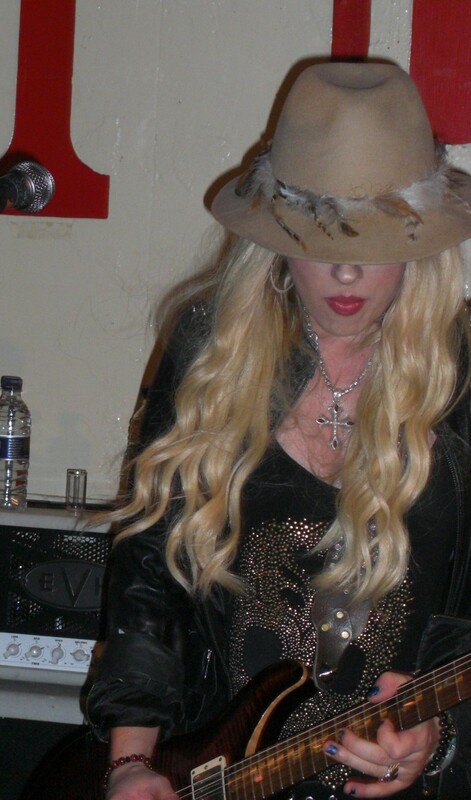 She has played with Stevie Vai and Carlos Santana, and she plays heavy rock guitar and sings. 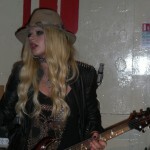 Since 2011 Orianthi is the guitarist for Alice Cooper. 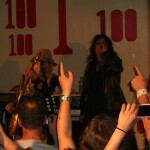 So it was no surprise that Alice Cooper came to the stage for the last encore and sung Foxy Lady. 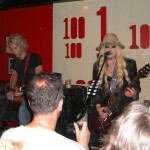 You can find many videos from the concert with Orianthi in the 100 Club – many of the visitors used their smartphones to record songs. My friend Eric likes to play this tune, so I thought that I should listen to some recordings of it and learn topplay it right. 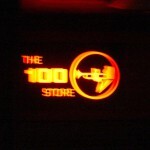 I have found many interesting videos and compiled thos in my playlist. Discover more interesting versions in my playlist”Sitting on top of the World”!